29.02.2016 (Hvino News). 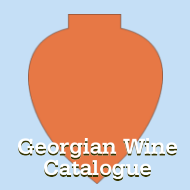 Georgia’s Schuchmann Wines became the first Georgian wine brand to be sold through Britain's Wine Society, which is the world's oldest wine club, founded in 1874. According to Schuchmann's executive director Ekaterine Javakhia, they signed an agreement on the shipment of Schuchmann’s wines on 2 February. She said Georgian Wine Association invited the society’s purchasing director to several vineyards in 2015, and Schuchmann’s wines were selected. 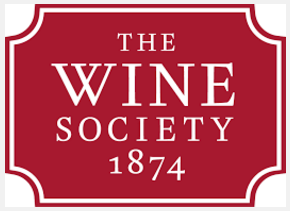 The Wine Society was established at the Royal Albert Hall in London on 4 August 1874. It was created and still operates as a co-operative with each member owning one share. After more than 130 years The Society continues to be owned solely by its members (one share each) and trades only with them. 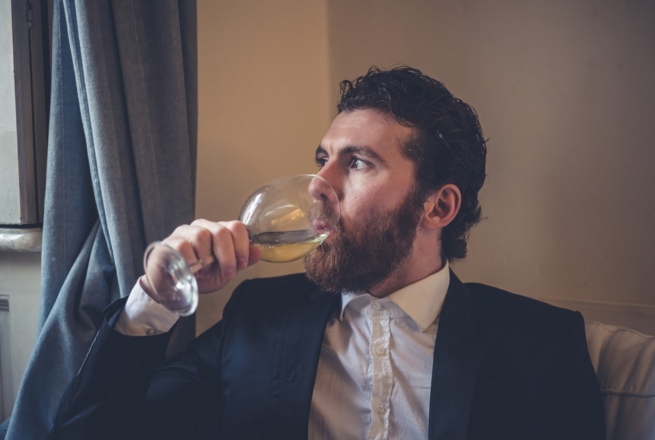 The focus, as defined in 1874, continues to be "to make available to members the highest possible quality of wines and services at the best possible prices". 27.02.2016. A special area promoting all things about Georgian wine has opened in a national museum in France’s south-eastern coastal city of Marseille. 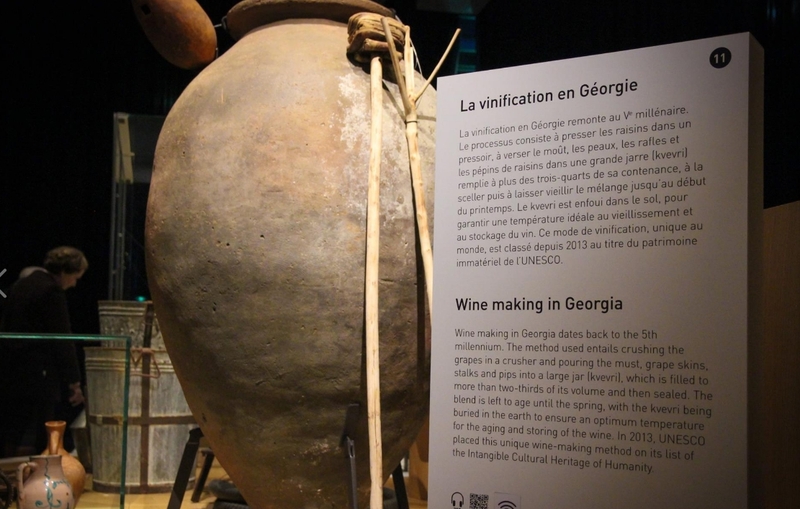 Visitors to the Museum of European and Mediterranean Civilisations (MuCEM) can now see a number of traditional items used historically to make Georgian wine at the museum’s permanent new Georgian corner. The museum generates about 20,000 daily visitors and boasts a permanent collection charting the historical and cultural cross-fertilisation of grapes in the Mediterranean basin. The Georgian corner, which currently featured Georgia’s wine-making history and traditions, was officially opened yesterday by Georgian and French officials. At the opening Vice Mayor of Marseille said it was important to represent Georgia in the museum together with the Mediterranean basin culture icons as "the country is an important part of this civilisation”. 26.02.2016 (Hvino News). 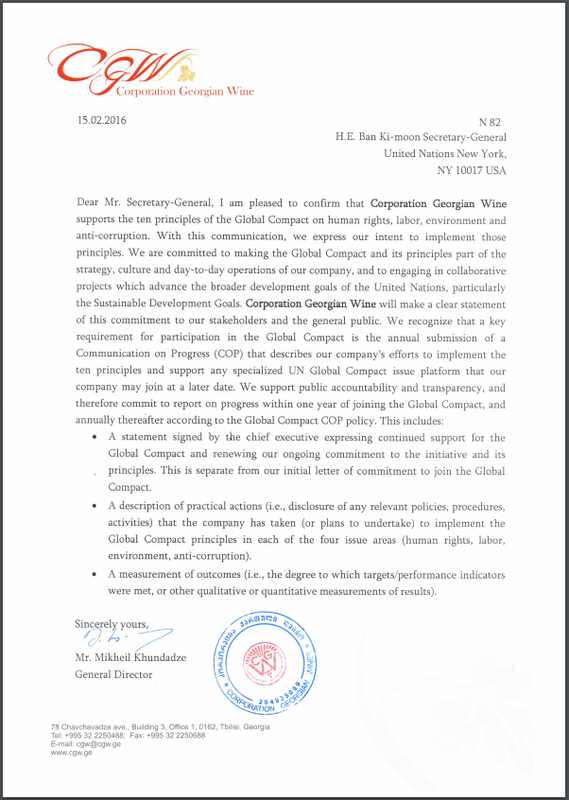 Corporation Georgian Wine (CGW) has become the only Georgian wine producer to join in the United Nations' Global Compact infinitive. 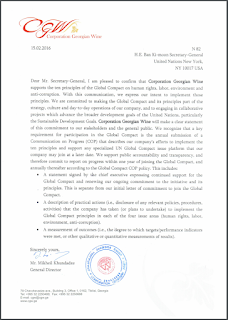 "I am pleased to confirm that Corporation Georgian Wine supports the ten principles of the Global Compact on human rights, labour, environment and anti-corruption", reads the letter signed by Mikheil Khundadze, CGW's general director. The UN Global Compact is a principle-based framework for businesses, stating ten principles in the areas of human rights, labour, the environment and anti-corruption. The UN Global Compact is the world's largest corporate sustainability initiative with 13000 corporate participants and other stakeholders in over 170 countries. The first Georgian wine company to join Global Compact was Teliani Valley in 2007, but in 2012 it was de-listed "due to failure to communicate progress". In total, 51 Georgian companies and non-profits have joined the UN initiative. 24.02.2016 (Hvino News). In a recent post Hvino News has wrote about the presence of Georgian wine Iago's Chinuri in the wine list of the prestigious Ritz Hotel in London (read here). We have also found the same wine in the list of "Top 10 Hipster Wines". 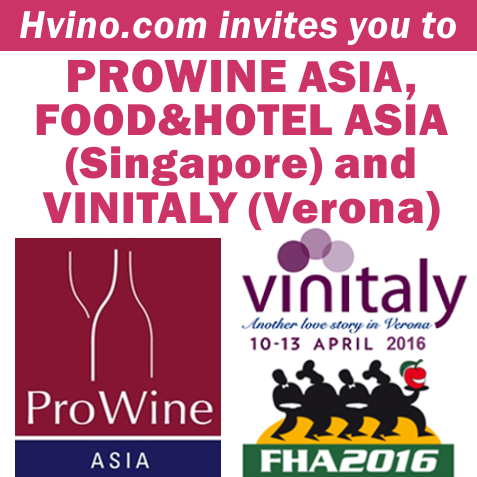 Participate in ProWine ASIA and Vinitaly with Hvino, Winerist and DRINKS+! 19.02.2016. We invite you to participate in presentation & tasting event Wine Tourism as a Marketing Tool for the Evolving Winemaking Industry in Ukraine, Georgia and Moldova, which will take place simultaneously in Europe and Asia: on April 14th in Singapore at ProWine ASIA and Food&Hotel Asia 2016, and on April 12th in Verona at the 50th Vinitaly trade show. This event is joint project of Hvino.com (Tbilisi), Winerist.com (London) and Drinks.ua (Kiev) web portals. Leading industry experts - buyers, distributors, restaurateurs, wine critics, bloggers - from Europe, America and Asia are invited to the event. Coverage of the event will be provided by both local and international media. ProWine ASIA 2016 promises to become a sensation in the world of trade shows: Singapore, the hyper business hub of Asia and world, and ProWein, the most popular wine show of the world, where the expo place waiting list expires immediately on opening. We invite professionals to visit this forum in order to gain perspective in all senses of the word: to get acquainted with trends in a variety of industry areas, as well as to establish contacts with leading distributors and buyers, HoReCa networks owners and top managers of the world of retail – participants Food & Hotel Asia 2016. Hvino has been the official media partner of ProWein and ProWein China since 2013. Participation details and terms are available upon request at event2016@hvino.com. We look forward to hearing from you! 17.02.2016 (Hvino News). At the annual Boston Wine Fair 2016 (on February 13-14) the Georgian wines were represented by just one importer company, Massachusetts-based Georgian Toast. 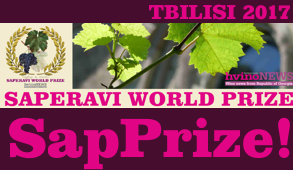 The importer brought wines produced by Tbilvino, Kakhetian Traditional Winemaking, Jakeli Wines. 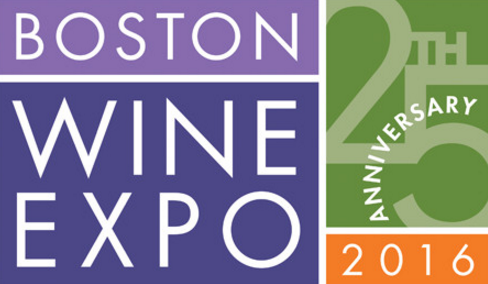 This year Georgia had much more modest participation than in 2015, when 10 Georgian companies were represented, and Georgian wine seminars were organized (read more: Georgia to showcase wines at Boston Wine Expo, and Boston Wine Expo: Reaction to qvevri wine). "Proud to be the only exhibitor to showcase some of the best wines Georgia has to offer", commented the importer representative. 16.02.2016. An international wine competition judged exclusively by Japanese female wine specialists awarded nine Georgian wines with Double Gold, Gold and Silver medals. Nine Georgian wines were selected among 3,543 varieties from 35 countries at the Sakura Japan Women's Wine Awards after five days of tasting in Japan. Out of the nine Georgian wines awarded, one received a Double Gold medal, four were awarded Gold medals and four earned Silver medals. 16.02.2016. ICC Georgia had endorsed Prime Minister Giorgi Kvirikashvili during its 11 th Consultative Board meeting; Prime Minister Kvirikashvili had presented to ICC Board Members the headlines of his upcoming block of reforms to encourage private sector development. 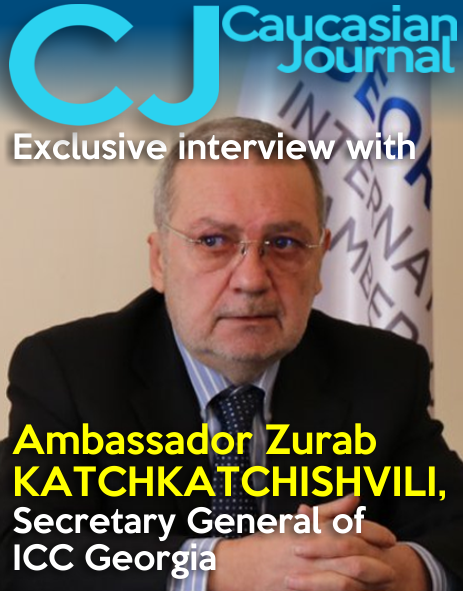 ICC Georgia had expressed its confidence that Prime Minister Kvirikashvili was committed about tackling in the shortest terms the major hurdles that are damaging the investment climate in the country and mainly the relation between the Revenue Service and the business community. ICC Georgia is expressing today its deep concern regarding the proposed draft amending the Tax Code, according to which the freezing of bank accounts without court Order for recognized taxes shall stay in force and the Revenue Service still reserves the right to freeze bank accounts for recognized and also unrecognized/disputable taxes if there is a risk of non-payment of such taxes and only after 48 hours the RS will have to apply to the Court and request confirmation of already frozen accounts. 15.02.2016. 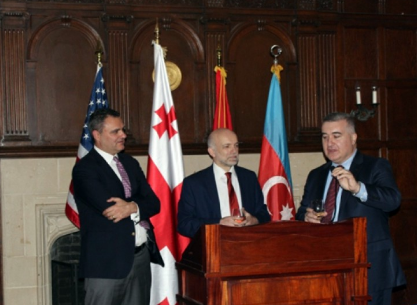 On February 10, United States-Azerbaijan Chamber of Commerce (USACC) in cooperation with America-Georgia Business Council and American Turkish Council with support of Embassies of Azerbaijan, Georgia and Turkey hosted a wine tasting event for its members at renowned Georgetown University in Washington. The event was attended by the member-companies of organizing associations, officials of U.S. government, diplomatic corps, media representatives as well as experts and distributors of wine products in Washington area. Georgia’s wine giveaway: Politics in a bottle? 13.02.2016. 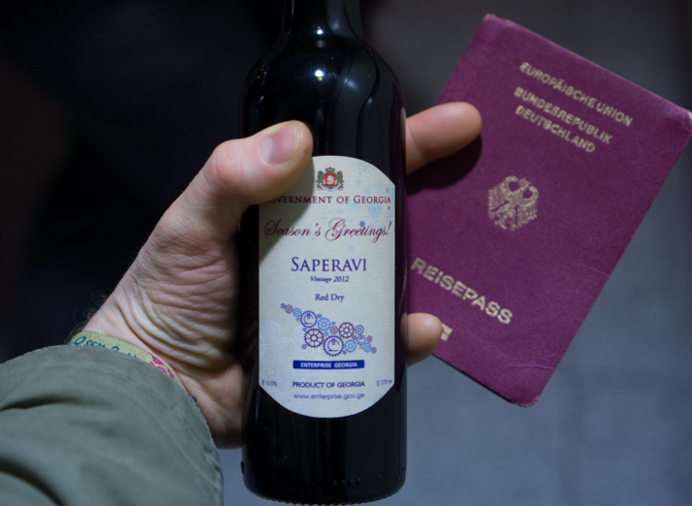 It might seem like the perfect welcoming gift after arriving on a flight and clearing passport control — a free, 375-milliliter bottle of Georgian dry red wine presented by Georgian authorities to each visiting foreigner. “No country has ever welcomed me this way!” exclaimed one Facebook user in a post published by the Georgian government. Yet in a country with a long history of backroom deals made between government authorities and business buddies, the promotional campaign raises questions about official propriety. 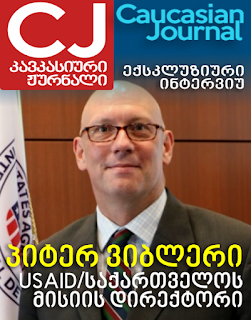 The gifts’ aim is straightforward — to promote Georgia’s ancient winemaking traditions, facilitate exports, “and show the country’s image positively,” explained Nino Skhirtladze, who handles international relations for the Ministry of Economy’s Enterprise Development Agency, which oversees the project. 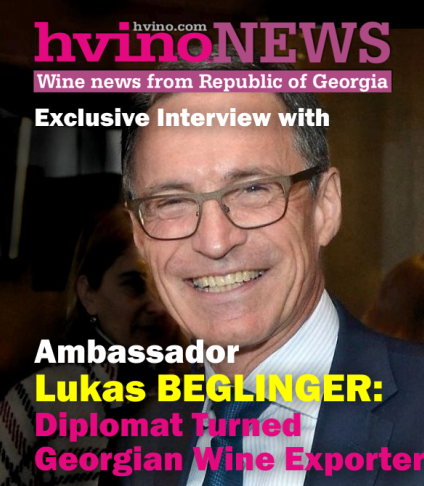 The wine-giving kicked off in 2012 at former President Mikheil Saakashvili’s personal initiative (read more: President of Georgia proposes Tbilisi airport to open its own vineyard; Tbilisi's soft power of wine, smiles and tourism; President's initiative turned out unexpected for winemakers), but was abandoned after the opposition Georgian Dream coalition came to power that same year. Two years later, the Enterprise Development Agency revived the idea. To date, it has held four online tenders to select suppliers for peak tourist seasons. In a country with 200 registered wineries, including 40 exporters, you might expect competition to be stiff. It is not. 10.02.2016 (Hvino News). Georgia exported 13 percent more wine in January, compared to the same period last year. According to the National Wine Agency, Georgia exported wine to 19 countries around the world. 1,521,802 bottles were exported, worth USD 3.62 million. At the same time, the country exported 562,930 bottles of brandy, which is 104% higher than for the same period of 2015. The top destination countries in January were Russia – 960,462 bottles, Ukraine – 199,722 bottles, Poland – 114,276 bottles, China – 45,160 bottles and Lithuania – 44,850 bottles. Export grew notably for Russia - 162%, Poland - 22%, Lithuania - 34%. Overall income from exports of wine and spirits as of January 2016 was 6.6 million USD. 07.02.2016 (Hvino News). For the first time Georgian and Armenian wines appear together under a common title "Bottles from the cradle of wine". 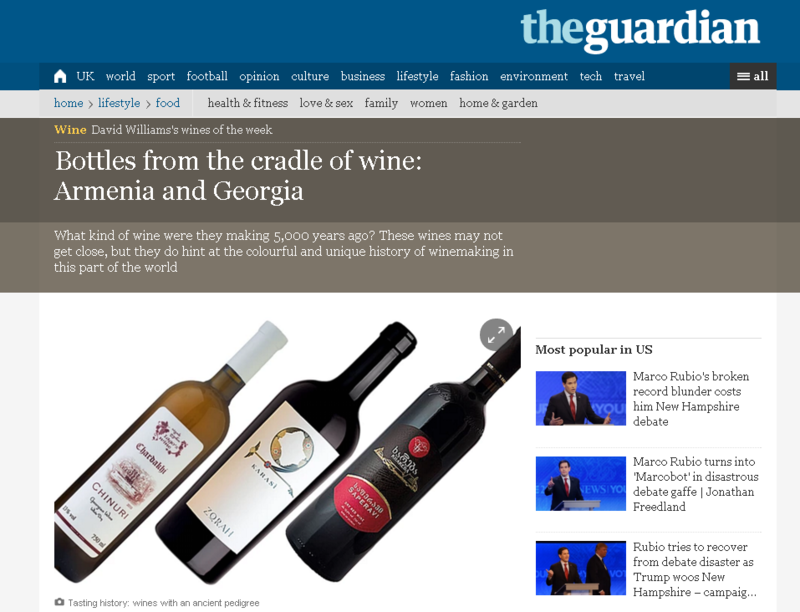 Two wines from Georgia and one from Armenia are featured in a review published by British newspaper The Guardian, authored by wine expert David Williams. This is why it is unusual to see publications which put wines produced in two countries together. However, from a Western European perspective Georgia and Armenia are often seen as countries with similar cultural and historical background. For his "wines of the week" review David Williams selected Armenian Zorah Karasi Noir (the most expensive one: £22) and two Georgian wines: Iago's Chinuri (£16.65) and Khareba Saperavi (£10). The author is asking: "What kind of wine were they making 5,000 years ago? These wines may not get close, but they do hint at the colourful and unique history of winemaking in this part of the world". 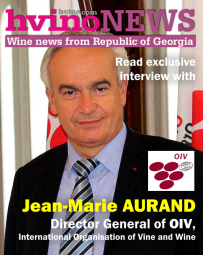 06.02.2016 (Hvino News) Thanks to recent Georgian wine-tasting events in five cities of France, the connoisseurs of organic wines from Paris, Orleans, Blois, Angers, Saumur had a chance to sample traditional qvevri wines. The wines represented in France were produced by Iago’s Wine, Pheasant’s Tears, Ramaz Nikoladze, Okro's Wines, Niki Antadze, Natenadze Wine Cellar and Mariam Iosebidze. In Saumur Georgian wine was presented at the natural wine exhibition La Dive Boutteille. La Dive Bouteille is considered the world’s largest annual natural wine exposition. 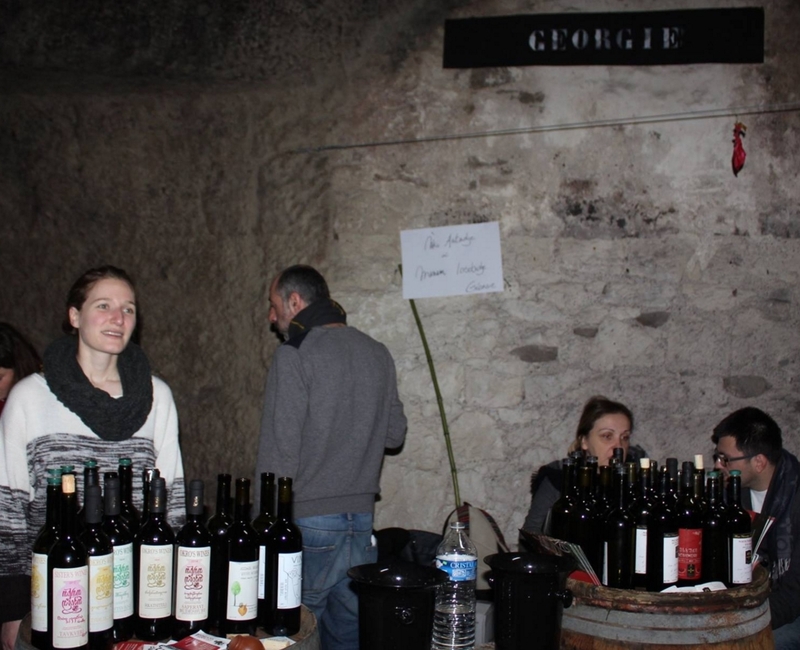 In Angers, Georgian wines were presented in Les Penitentes fair. Georgia’s Ambassador to France Ekaterine Siradze-Delaunay said such events helped raise awareness of Georgian wine and gain a following among French consumers: "Presenting Georgian wine in France means worldwide recognition. Representatives of lots of countries visit France to taste wine, it is important for us to attend all of these events and promote our wine. We already see positive consequences, when more an more French people say that Georgia is a homeland of wine." 02.02.2016 (Hvino News). 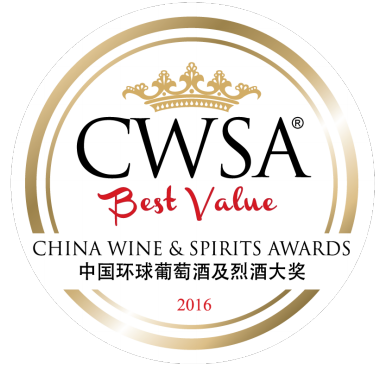 11 Georgian wines have won prizes at CWSA (China Wine & Spirits Awards) Best Value 2016. The CWSA, based in Hong Kong, is the biggest wine and spirits competition in China. Hvino News is proud to be the official media partner of CWSA. 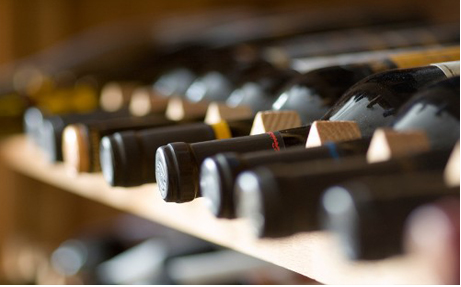 For CWSA Best Value competition, wines and spirits are tasted at price levels. Medals are awarded to represent ‘Best Value’. Wines and spirits enter from 35 countries and are ‘blind tasted’.